IFSEC Global has announced its judging panel for the 2019 edition of its Security and Fire Influencers, with Labour peer Lord Toby Harris and National Basketball Association (NBA) security chief Jerome Pickett starring. Lord Harris has previously represented the Home Secretary in overseeing the Metropolitan Police’s counter-terror work. Subsequently a member of the Police Counter Terrorism Board, he has a keen interest in policing, cybersecurity and counter-terror. Pickett, who joined the NBA last month as executive vice president and chief security officer, is an expert in crisis management, cyber investigations, and critical infrastructure protection. He is currently also vice chair for the Commercial Facilities Sector Coordinating Council at the Department of Homeland Security, Office of Infrastructure Protection. Jonathan O’Neill OBE, MD of the Fire Protection Association, is a standout name judging the fire safety category. Both in global reach – with 12 countries represented – and stature, it’s as impressive as any influencers judging panel yet. Lead judge Grant Lecky, a co-founder of the Security Partners Forum, has appointed a 28-strong judging panel with eclectic expertise spanning the eight influencer categories. A new category is being introduced for 2019: ‘One to watch’, which spotlights security professionals who’ve made a big impact in a relatively short career. Grant Lecky commented: “We have a whole new panel of distinguished judges for 2019 from across the globe, and just like last year, these judges have been appointed based on a combination of strong recommendations from across the security and fire industries, and are, of course, award winners themselves in their respective fields within our shared industry. Lecky himself featured among the IFSEC Global influencers in security and fire in 2014 and 2017, has featured on the Canadian Who’s Who and, most recently, won the Bill Zalud Memorial Award for professional excellent/outstanding service in the security profession. 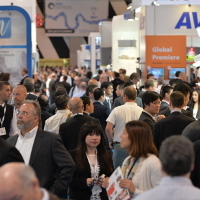 The 2019 influencers will be announced in the IFSEC Security Briefing (which you can register for here) in the early part of May 2019. You can network with some of the influencers during a meet-and-greet session at IFSEC International, 18-20 June 2019, ExCeL London, in the ASIS Lounge – date and time to be confirmed.